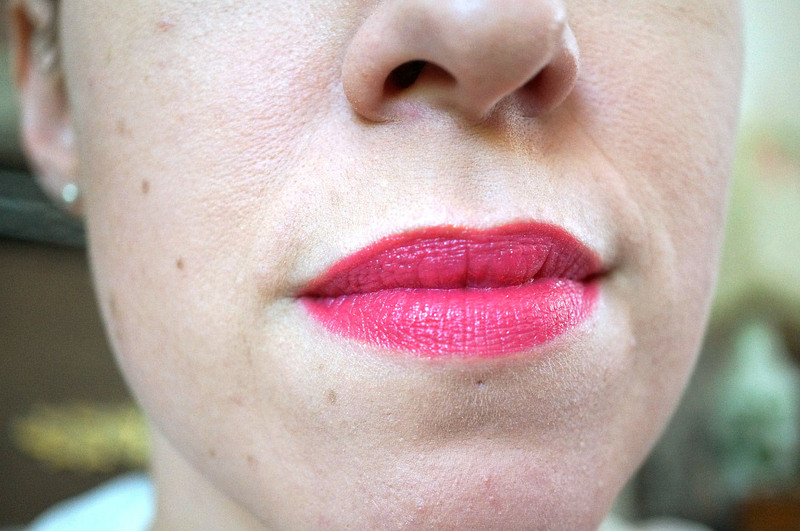 I’ve decided that Maybelline is officially my second favourite lipstick brand after MAC. Specifically their Color Sensational Vivids range. 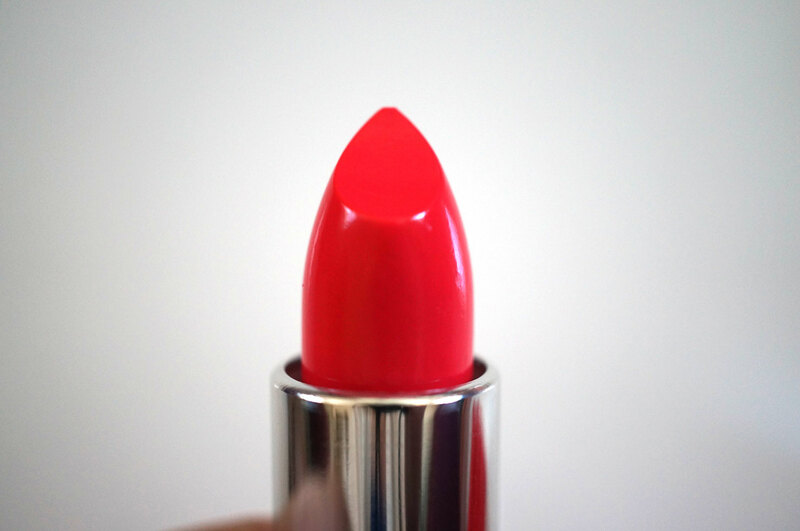 I nabbed the Neon Red lipstick from this range a while ago. If you click on the link there to take a look, you may notice the lipstick looks completely different the the one in this posts (it’s the darkest red in this post) this is just because I used to take all my photos with a filter, and then realised this isn’t the best idea for colours looking true to life! Doh! 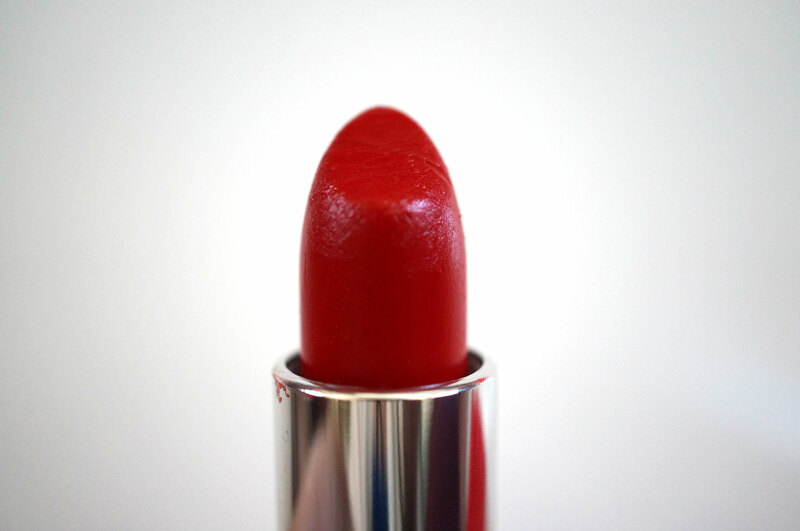 Anyway, these lipsticks really are fantastic for high street prices. 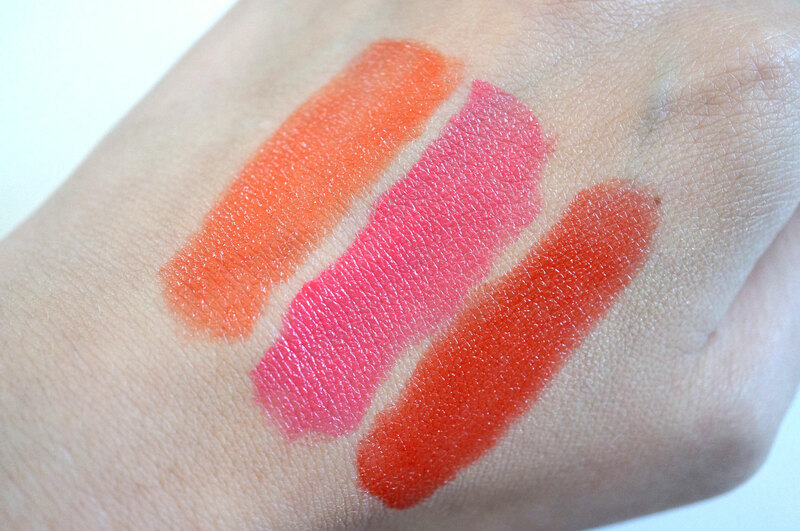 At £7.19 they’re less than half the price of MAC lippies, which have gone up to a purse-clenching £15.50 a pop now, and they also offer a creamy finish and great colour payoff. First up is Electric Orange. 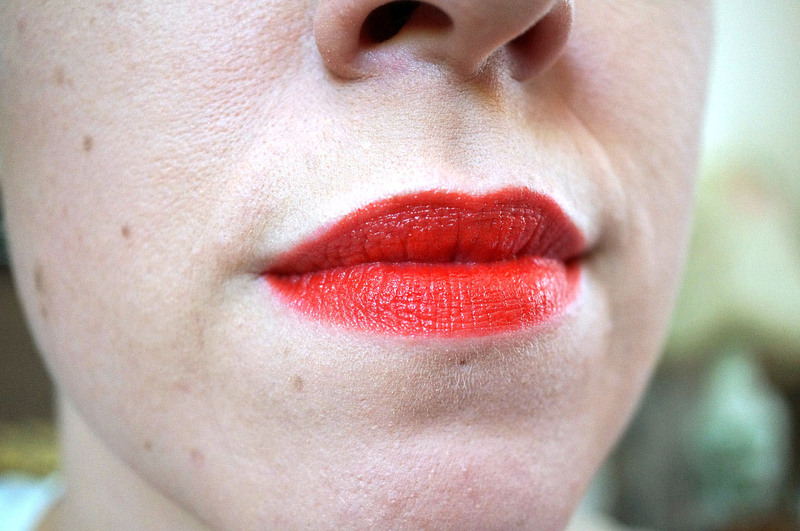 I was always scared of orange, for any type of makeup not just lipsticks, but I’m actually loving it this summer! Next is Shocking Coral – now I know on the bullet this looks really similar to Electric Orange, but it really isn’t in real life! And Neon Red. Again on this bullet this looks to be more of a deep red, but looks can be deceiving! Now the Electric Orange, I have to say, was not quite as intense as I’d hoped. 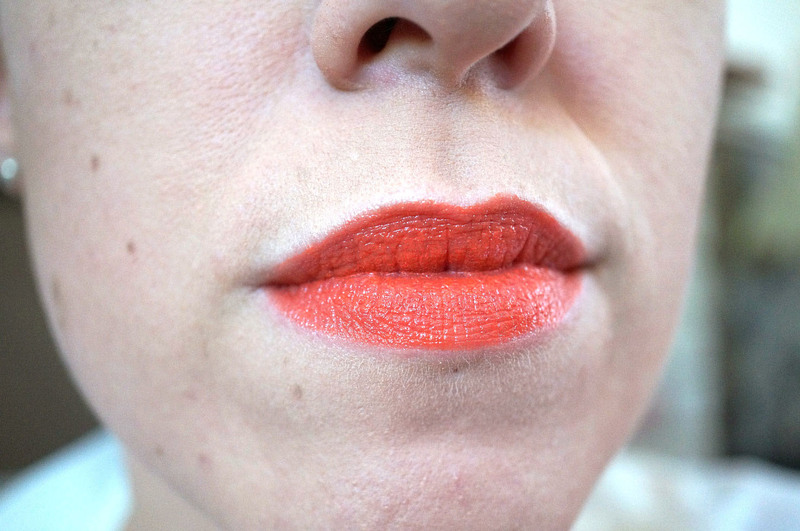 On the hand swatch it looks like a true tangerine orange, but on the lips the colour was just slightly lacking for me. It’s still a great formula though so I’d definitely recommend it if you’re a bit nervous about trying an orange as it won’t break the bank. 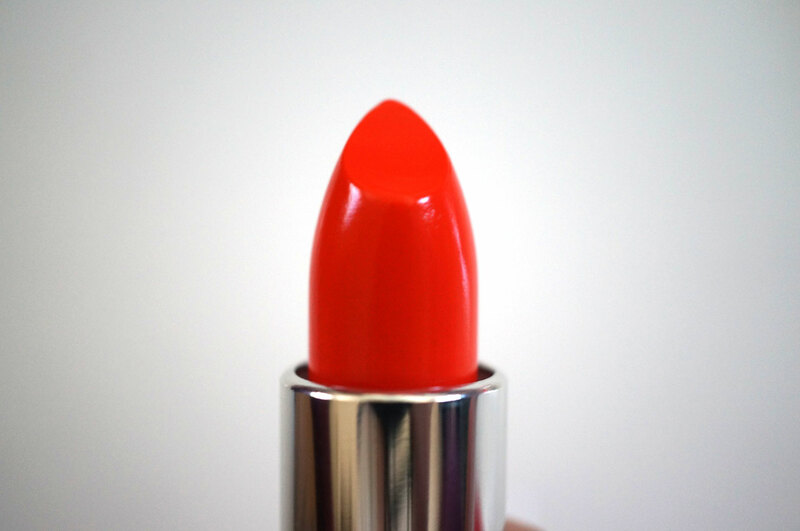 If you want full on orange though you should try MAC’s Morange. Shocking Coral, again wasn’t quite as shocking as I’d hoped for. It was a gorgeous bright pink, no doubt about that, but I think due to the slight sheerness of the formula, the colour wasn’t quite as intense as I’d expected. 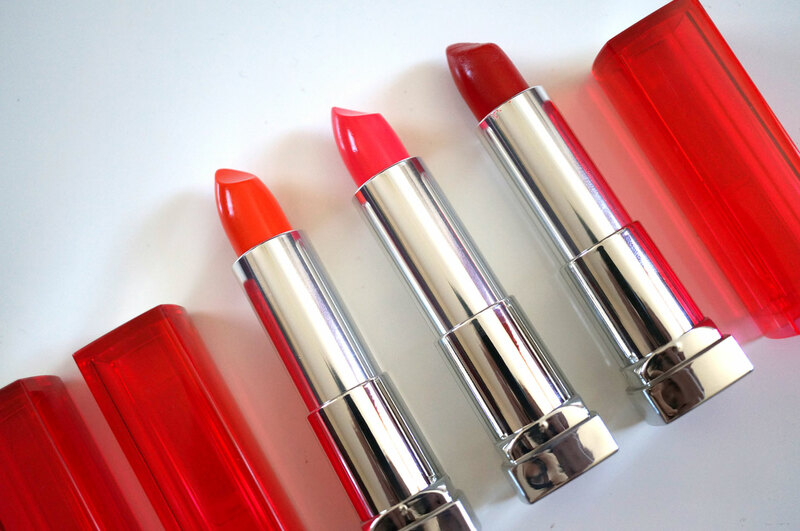 Now don’t get me wrong, I do love Shocking Coral and Electric Orange, they are both gorgeous bright summery colours, they feel lightweight and you don’t have to worry about creasing or bleeding with these lipsticks at all, just chuck them on and go! They just weren’t what I was expecting! So what do you think? Have you tried any of the Maybelline Color Sensational Vivids range? I have the orange shade but sadly it does not suit my ginger-ness. The red looks stunning though !